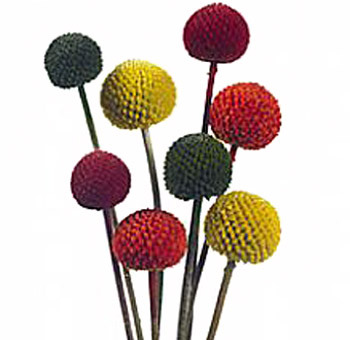 Craspedia are recognized for their cheerful, round yellow heads and is very popular for use in wedding bouquets, boutonnieres, and other flower arrangements. 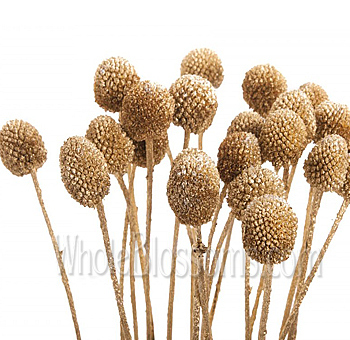 They are commonly known as woolyheads and Billy buttons. They stand firm with their proud heads atop of a strong, solid stem. Commercially grown for use as cut flowers, florists and designers recognize the growing trend as bridal bouquets and centerpieces. They are offered in its natural beautiful, yellow shade, or in fun, tinted colors. They have year round availability and make wonderful accents to arrangements. Flowers are a useful decoration element. Due to their bright colors and attractive shapes, they transform the look of their surroundings. With the right choice of flowers, you can make a drab place look amazing. But sometimes, you don’t need aright choice. Some flowers are so versatile they will suit any occasion. The Craspedia is one such flower. 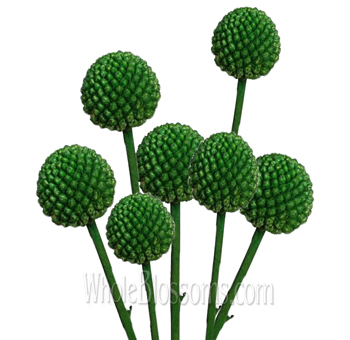 This fun, the spherical-shaped flower is perfect for bouquets, boutonnieres, home décor, and party decorations. They are available in a multitude of shades. Their cheery look can lift sour moods and refresh your mind! 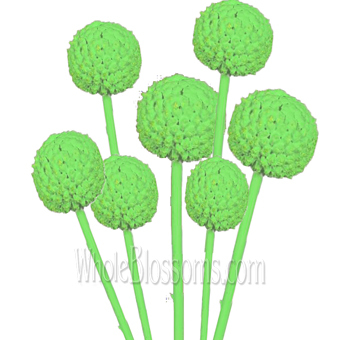 Craspedia is most commonly known as “Billy button flower” or "billy balls." It's a perfect name because of its fluffy and round shape. These flowers are cheerful and expressive. They are also known by the names of “drumstick flower” and “woolly-headed." This flower is a perennial flower. It is most commonly found in Australia. It grows in a variety of habitats, right from the dry mountain cliffs to the beachside and forests. It is now grown by florists to cater to customers who need an attractive bouquet or decoration items in bulk. 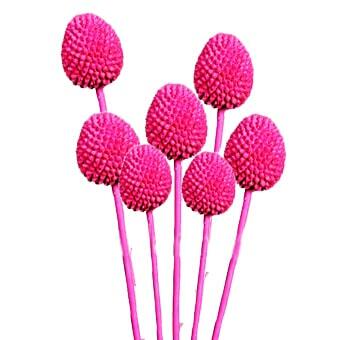 These flowers have an instantly recognizable round shape and scaly texture.The flower head can be anywhere between 1 and 3 inches in width.It comes in a variety of colors, but its right color is a vibrant, glowing yellow. It can grow to a height of 1 meter, which gives decorators a lot of stems to work with. The sturdy stem makes it an ideal decorations element. You canexperiment with this flower toexpress your creativity. This flower should not be confused with other round shaped flowers. The blade-shaped gomphrena flower is round, but it comes in shades of purple and pink. The silver brunia looks very similar to billy balls, but it is mostly white and has a thick grooved stem. The allium has a similar shape, but the allium bulb is gigantic and easily several times larger than billy balls. 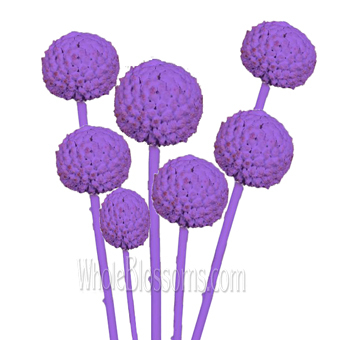 The billy ball flower stands for good luck and wellness. They are ideal for occasionswhere you need to convey good wishes to a close friend or family member. 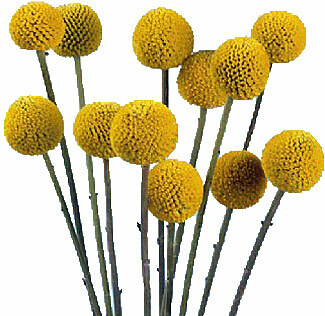 The Yellow Craspedia is most popularly used in weddings. They brighten up a white bouquet of flowers and bring happiness to an observer.The craspedia is initially yellow, but it can be tinted a variety of colors. If you find the right florist, you can get these flowers in orange, red, gold, silver and green. This makes them extremely useful as an item in décor. These flowers are incredibly versatile. 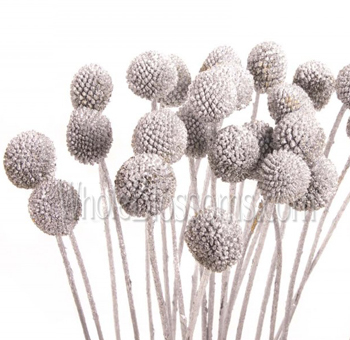 A bouquetof just yellow, orange or blue billy balls is great home décor ideas.A bunch of craspedias and mini daisies will bring a beautiful look to your home. With proper care and enough water, the Craspedia flowers will last for a long time. Craspedias look beautiful even when they are dried, so you should definitely try that as well! Craspedias are an absolute must-have in a bouquet. 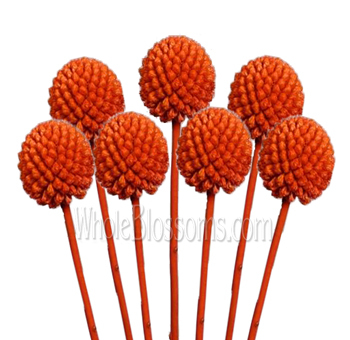 Their round shape and bright color will add balance to your flower arrangement. Make sure to use them if you are planning on gifting a mixed bouquet to congratulate a guest or close friend. Even a few billy balls will add a dash of color and highlight bigger flowers. Yellow Craspedia between larger daisies and tulips bring out the color palette. The availability of different colors makes craspedias extremely useful. Pairing orange billy buttons with redlilies will bring out their color. A few flowers of pink craspedia will highlight pink tulips and white hydrangeas. 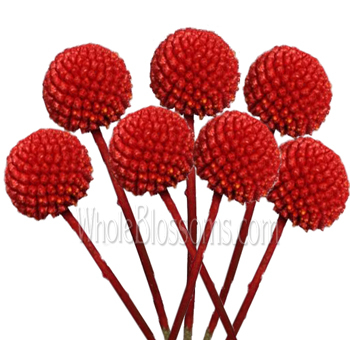 If you are aiming for a Halloween or Christmas party, small bunches of red and silver Craspedia billy balls will add to the theme much. These are only a few places where they come in handy. Isn’t it wonderful? The billy ball flowers are perennial and are grown the most during summer. But due to its extensive uses, floristswill grow them year-round. Billy balls work very well whether used naturally, tinted, or in a driedstate. But if you need them for weddings and decorations, you must getthem freshly cut. 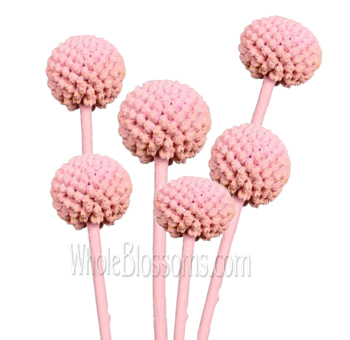 If you are wondering now where to buy billy balls, you need not look further than Whole Blossoms. They offer a 24/7 delivery of fresh cut flowers to your doorstep. 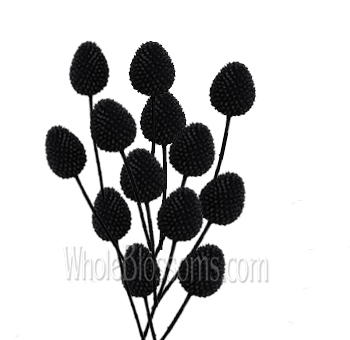 They will deliver wholesale bulk craspedias in several colors. 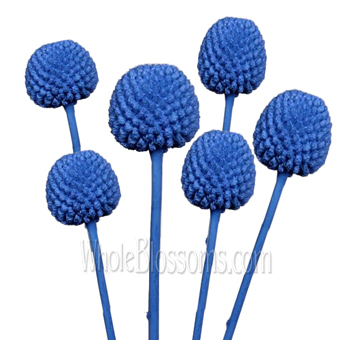 Billy balls are useful and colorful additions to flower arrangements and party halls. You can slip them into decorations anywhere you want. It doesn’t matter what kind of an occasion it is—whether you want to invite friends over for a chic dinner party or brighten up your home. These billy button flowers are your friends!